The one and only 1963 Chevrolet Corvette "Rondine" Edition. Built for the 1963 Paris Auto Show by world renowned design house Pininfarina, and commissioned by Chevrolet. Features a 327cid/360hp V8 with a 4-speed and power brakes. 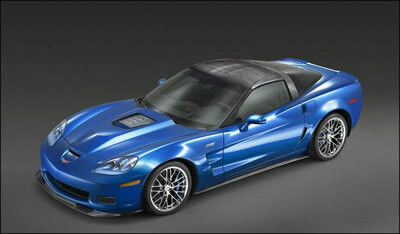 The very first retail 2009 Chevrolet ZR-1 coupe. All proceeds from the sale of this care were donated to the United Way. 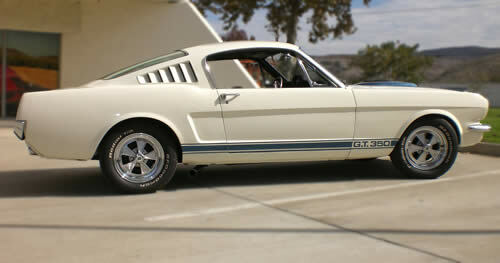 This was Carroll Shelby's personal vehicle. It features a 428CJ and an automatic transmission. It recently received a 7 year concours level restoration. 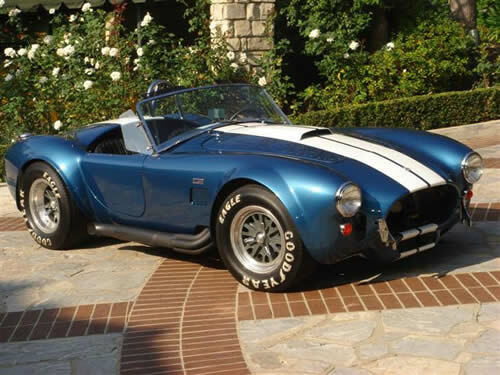 This original Shelby Cobra 427 has received a full concours quality restoration and is fitted with the sideoiler 427 engine. It has only 11,000 original miles and was never raced. Has the Sunburst wheels with original Blue Dot tires. 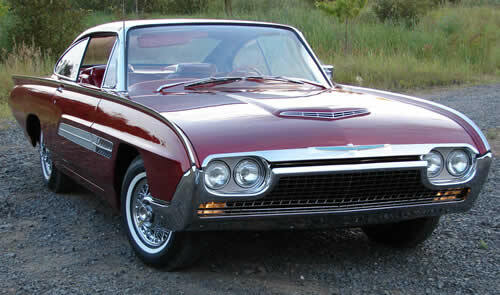 This car was part of Ford's travelling custom car show during 1962-1964. It was part of the 1964 World Fair in New York. 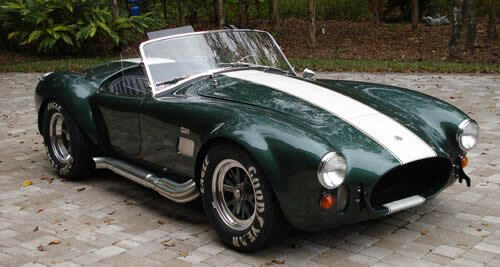 A full concours restored Cobra that has been inspected by Shelby himself. Richard Childress Racing Series 3 Serial #3 with a Dale Earnhardt Sr. race engine SB-2 and full documentation. All aluminum 427cid SBC 600hp engine that has been race dynoed and new dynoed with sheets. SEMA show vehicle. 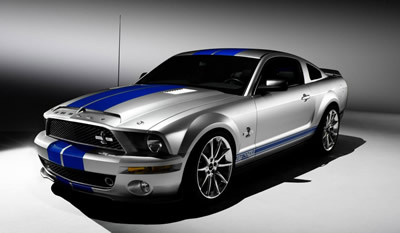 The first retail 2008 Shelby GT500KR. A beautiful, bright orange 1969 Dodge Charger, Bo's General Lee is quite possibly the most famous, filmed and photographed incarnate of the most recognizable car in the world. Built by John Schneider, Bo Duke himself, for the CBS television reunion movies. This car hit the ground running. Originally a 383, Bo's General now houses a 511 HEMI power plant that was purchased as a crate motor and "tweaked" by John Aruzza of Aruzza High Performance. The 727 transmission by Herb McCandles puts out 610 ft pounds of torque to the modified DANA 60 rear end. A Gear Vendors installation effectively gives the 725hp plant 6 forward gears. Suspension is by Hotchkiss Suspension and the frame tie steel takes all of the flex out of this original uni-body chassis and makes it run totally flat through the corners in the many film roles this car has performed. Stainless steel exhaust by John's friends at K & N Racing make the throatiest sound ever. Bob Mazolini worked some magic on the motor as well. Here are the specs: HEMI 118 over bridge to bridge and he's right there. Rear end: 3.1 ratio. Close. Cam is Comp solid lifter 24-308-4, .557 lift, .540 exhaust, 108 lope center, valves set at: duration at .50 is 250, intake .020 and exhaust .024. Featured in "Dukes of Hazard" TV reunion movie, "The Dukes Go To Hollywood", "Collier & Co" and "Hot Pursuit!" sans flag, numbers and front push bar. 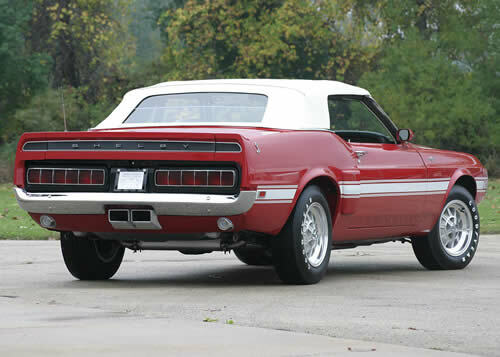 The car has also been featured in "Car and Driver" magazine where it was tested and won all events against the "Starsky and Hutch" car, Kitt from "Knightrider", the Batmobile and the BOSS Mustang from the latest version of "Gone in 60 Seconds." Bo's General has been completed in the Silver State Classic Challenge 7 times, entering in this timed race with target speeds of 110, 115, 120 and 125. John's top speed in the car, which disqualified him from the race, was 165. "He wanted me to go faster! It was like he wasn't even breathing hard!" Said John. Bo's General also had the cover of "Mopar Collector's Guide" twice and has been featured on talk shows from "Donnie and Marie" to "Vibe." It's arguable that there is no more talked about muscle car on the planet. Also featured on cover of "Mopar Collector's Guide". An original striped car fitted at the factory with the optional special alloy wheels. Only 41,000 original miles. All original pans. Runs and drives flawlessly.